The delicious flavors of aromatic vanilla, rich butter, and toasted pecans are featured in this easy recipe for Butter Pecan Fudge. 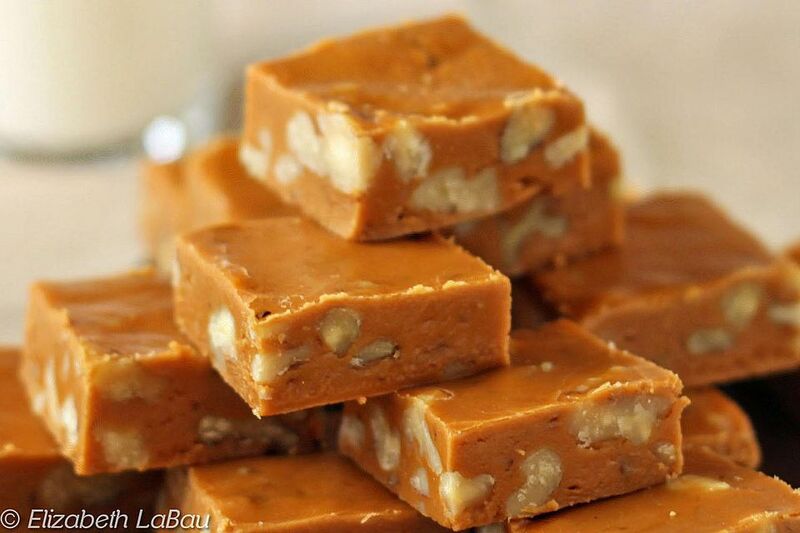 The butter-nut flavoring called for in the recipe is crucial to the distinctive taste of this fudge. It can commonly be found in the baking/seasoning aisle of large grocery stores. This recipe can be made without the flavoring, but the butter-nut taste will be more subtle. You can also try substituting a combination of butter extract and vanilla extract to mimic the taste. Sift the powdered sugar into a large bowl and set aside. Chop the pecans coarsely and set aside for now. In a medium saucepan over medium-high heat, combine the butter, cream, granulated sugar, brown sugar, and salt. Stir until the sugar dissolves and the butter melts. Bring the candy to a boil, stirring constantly, and continue to boil and stir the candy for four minutes. After four minutes, remove the fudge from the heat. Quickly stir in the pecans, vanilla extract, and butter-nut flavoring. Pour the candy over the powdered sugar in the large bowl and stir until combined and smooth. Pour and scrape the fudge into the prepared pan, and smooth it into an even layer. Allow the fudge to set at room temperature or in the refrigerator. Once set, cut it into small squares and serve at room temperature. Store remaining fudge in an airtight container or bag at room temperature for up to a week, or refrigerated for 2-3 weeks. Click Here to View Al Fudge Recipes! Click Here to View Al Pecan Candy Recipes!